So this year for Christmas, Nicholas brainstormed ways to combine Cassandra’s two favorite things. He came up with an AMAZING idea. 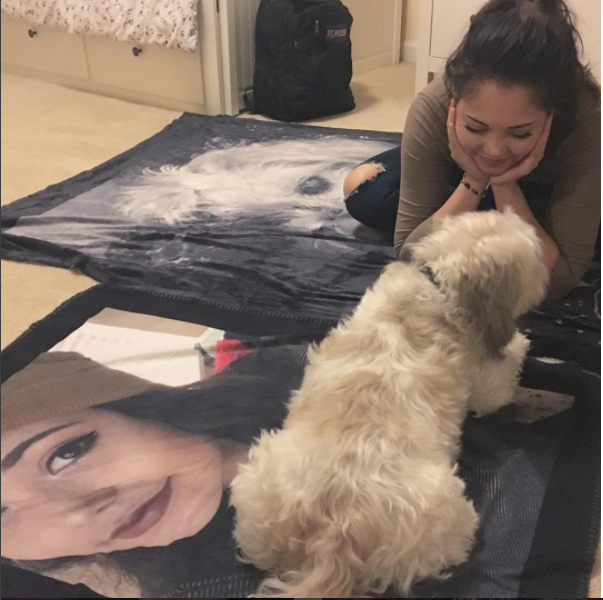 He bought Cassandra a blanket with Lucky’s face on it, and bought Lucky a MATCHING one with Cassandra’s face. “I just thought it was funny honestly…like who has that? It didn't have any profound meaning except to be extra,” he said. 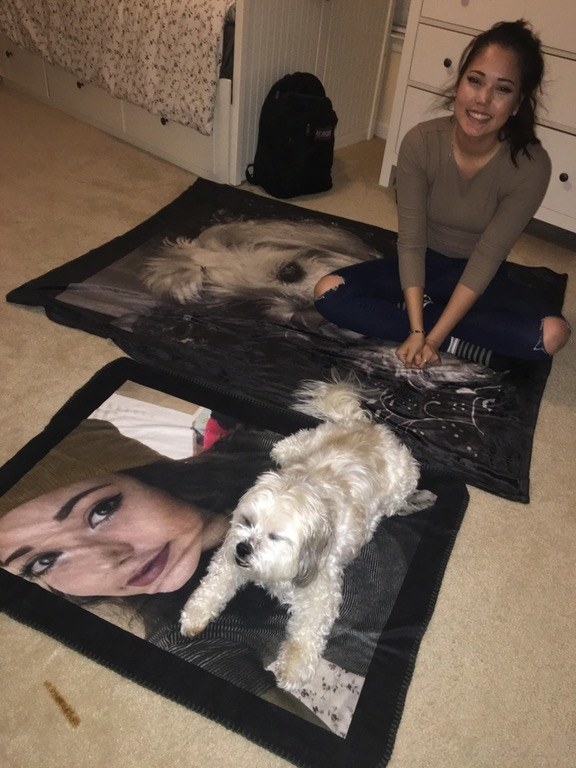 “She didn't think I could actually get her something she would really like. A lot of people don't get her good gifts. So she was pretty surprised,” he said.